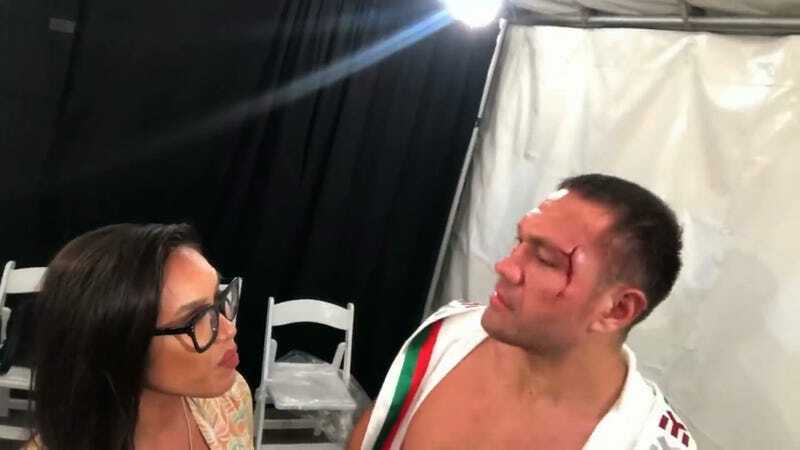 Last weekend, Bulgarian boxer Kubrat Pulev ended his interview with Vegas Sports Daily reporter Jennifer Ravalo by grabbing her face and kissing her. Pulev defended the kiss and claimed that he and Ravalo were friends who laughed about it later, though Ravalo strongly denied Pulev’s version of events in a press conference today. Ravalo also hired prominent attorney Gloria Allred to represent her in her attempts to bring Pulev to justice. The next CSAC meeting takes place in May, and Allred asked the commission to review the case at that time and allow Ravalo to testify.